No need for a second opinion when it comes to this adorable nurse's uniform. 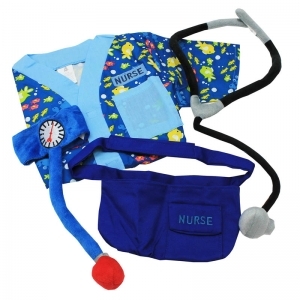 Costume comes complete with a convenient medical pouch that holds a stethoscope and blood pressure gauge. Pride in the community starts here with these everyday heroes. 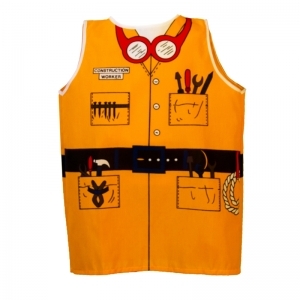 Developed specifically for the Child Care industry, the Community Helper Costume Collection promotes the ultimate in child safety and durability. Details are embroidered and the soft hats and plush accessories have a realistic appeal, without any hard surfaces or sharp edges. Each costume comes with a curriculum of activities. Ages 3-6. Perfect for day care, classroom or home toy chest! 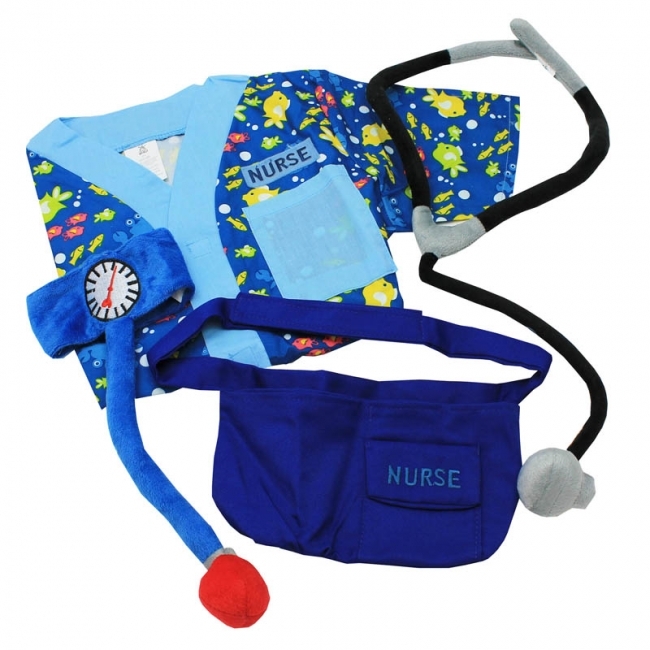 This doctor dress-up set is brightly colored with fun details to inspire creative play. Head piece is an examining light to assist our doctor find out what is wrong and make it all better. 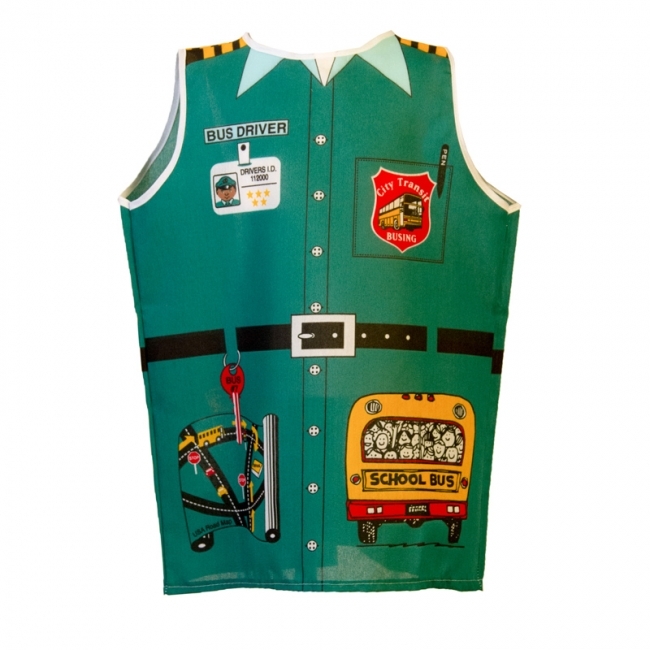 The dress-up is designed to slip over the child's clothing and is easy-on with a simple Velcro close. Beautifully screen printed, cotton blend, machine washable and built to withstand years of play. Fits most children age 5-7. All Dexter™ products are Made in the USA. Perfect for day care, classroom or the home toy chest! 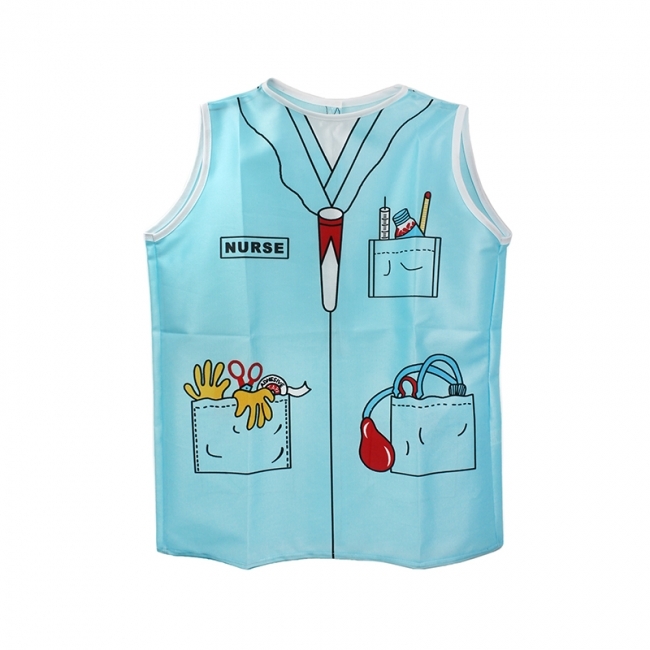 The nurse dress-up set is a light blue background with a stethoscope, shot, and first aid tools included in the fun screen print design. Nurse's cap included. 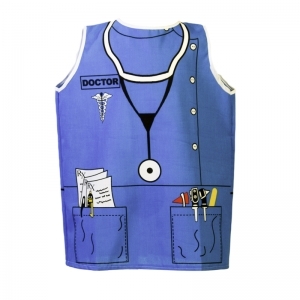 Great for pretend play and to inspire children toward a health care career. The dress-up is designed to slip over the child's clothing and is easy-on with a simple Velcro close. Beautifully screen printed, cotton blend, machine washable and built to withstand years of play. Fits most children 5-7. All Dexter™ products are MADE IN THE USA. Perfect for day care, classroom or the home toy chest! 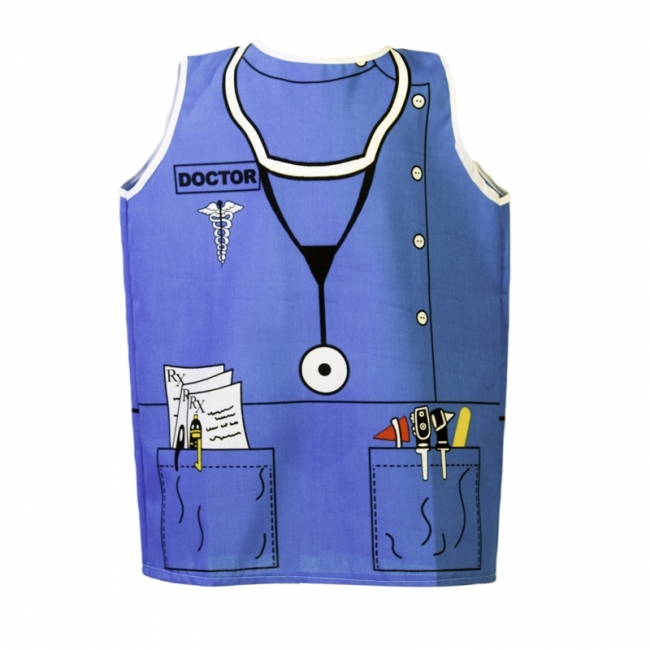 This fun dress-up costume inspires a child to be a dentist! Green background with screen print dental tools detailed for pretend play. The dress-up is designed to slip over the child's clothing and is easy-on with a simple Velcro close. The dress-up is a cotton blend with bright screen printing, machine washable and built to withstand years of play. Fits most children 5-7. All Dexter™ products are Made in the USA. This adorable dress-up is perfect for a day care, classroom or your home toy chest. Inspire your child to be a vet! 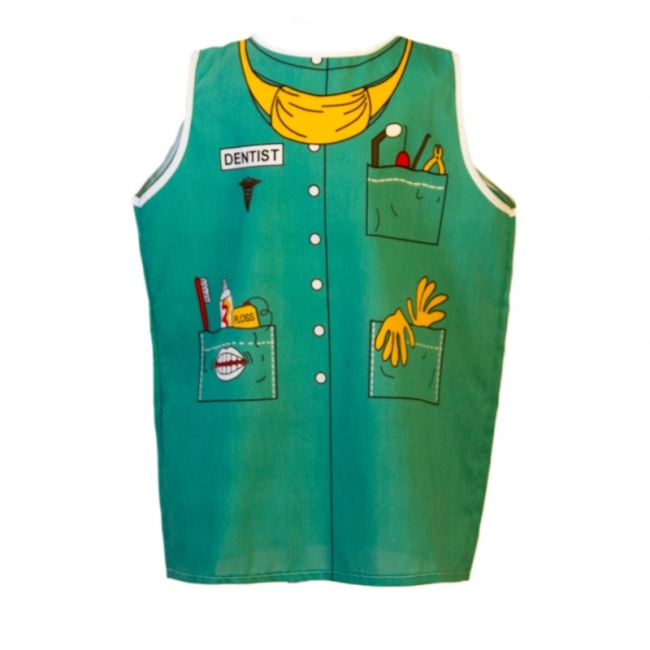 The dress-up is screen printed with a green background and tools for giving pets a good check-up. Detailed with a puppy and kitten for care. 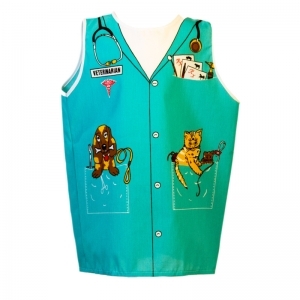 Veterinarian cap included. Little animal lovers will adore this! 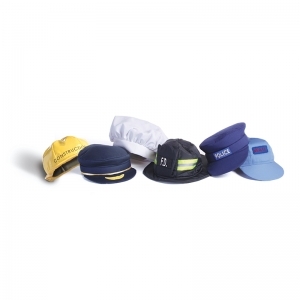 Designed to slip over the child's clothing and is easy-on with a simple Velcro close. The dress-up has quality screen printing, is machine washable and built to withstand years of play. Fits most children 5-7. All Dexter™ products are Made in the USA. Inspire your junior chef! 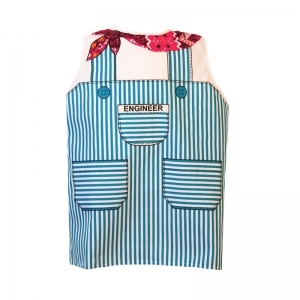 Children love pretend cooking and this adorable dress-up will inspire hours of pretend play. 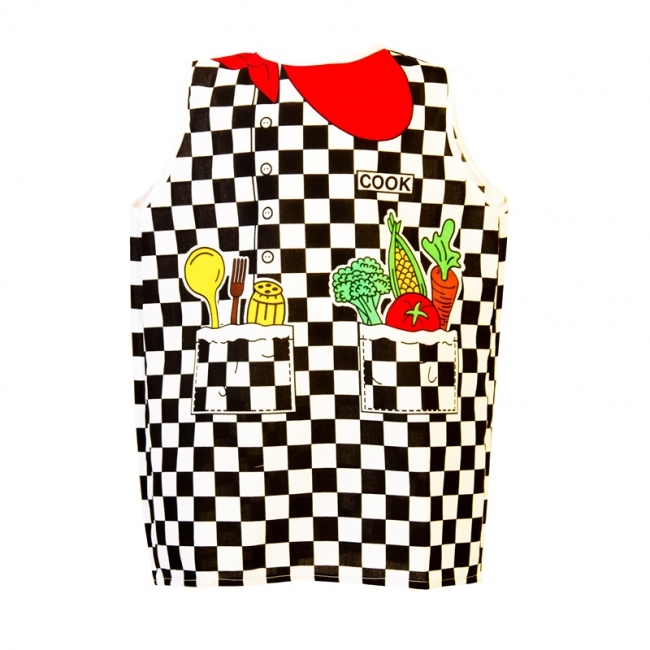 The chef dress-up is brightly screen printed and includes utensils and vegetables in the design that kids will love. Fun white chef hat included. Designed to slip over the child's clothing and is easy-on with a simple Velcro close. The dress-up is a cotton blend with quality screen printing, machine washable and built to withstand years of play. Fits most children 5-7. All Dexter™ products are Made in the USA. Perfect for day care, classroom or a home toy chest! 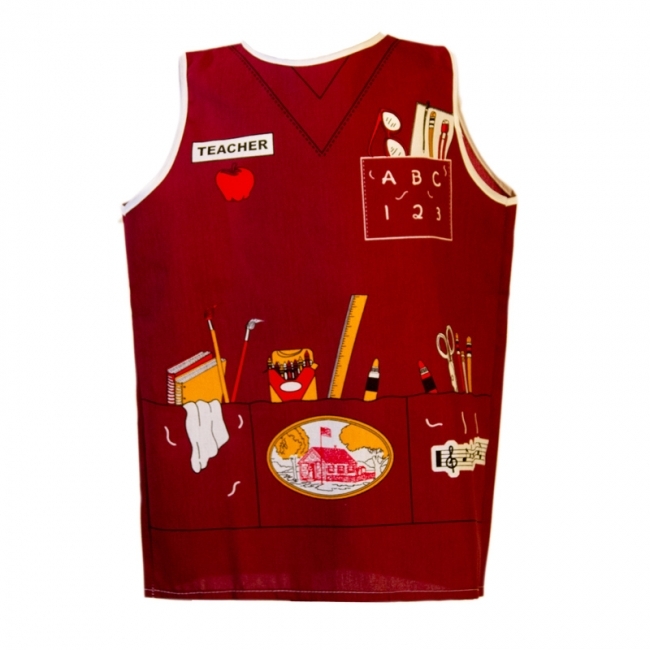 This teacher dress-up costume is screen printed with fun details for the class, including numbers and letters, crayons and an apple for the teacher. Burgundy background, "I Love Children" headpiece included. Inspire your child to become an educator! 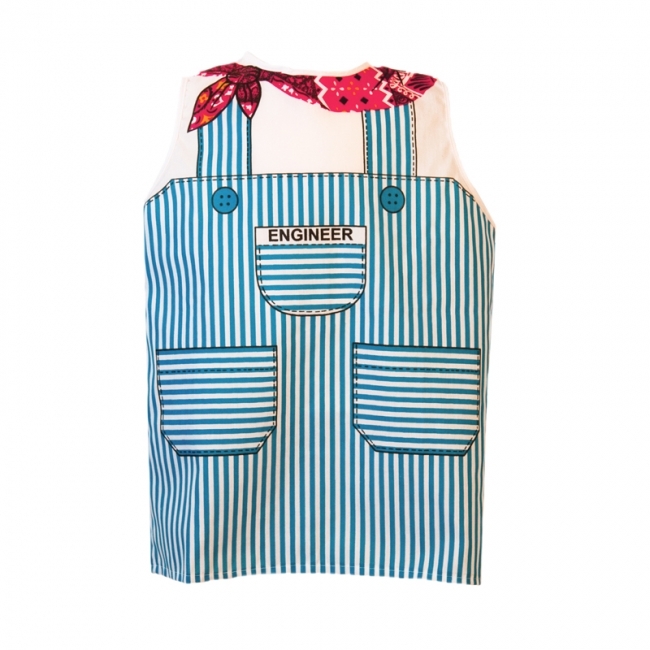 Designed to slip over the child's clothing and is easy-on with a simple Velcro close. The dress-up is a cotton blend with quality screen printing, machine washable and built to withstand years of pretend play. Fits most children 5-7. All Dexter™ products are Made in the USA. Keep order in your day care, class, or playroom! 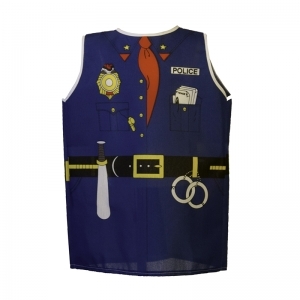 This detailed police dress-up costume will inspire hours of community service pretend play. 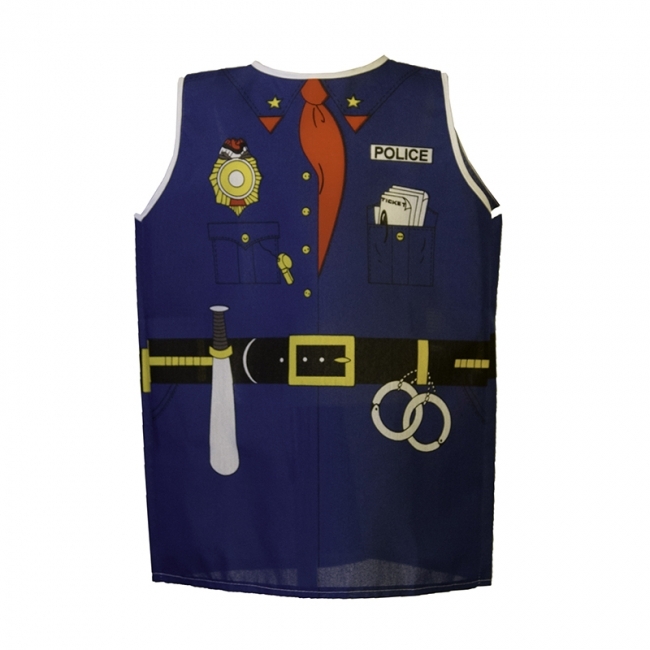 The dress-up is made with bright blue screen printing and detailed with a badge, hand cuffs and tickets that kids will love. Police cap included. Perfect for a day care, classroom or home toy chest. Inspire your junior builder! The construction worker dress-up costume has an orange background and is completed with all the tools of the trade in the screen print design. Red "hard hat" cap included. Perfect for a day care, classroom or home toy chest! 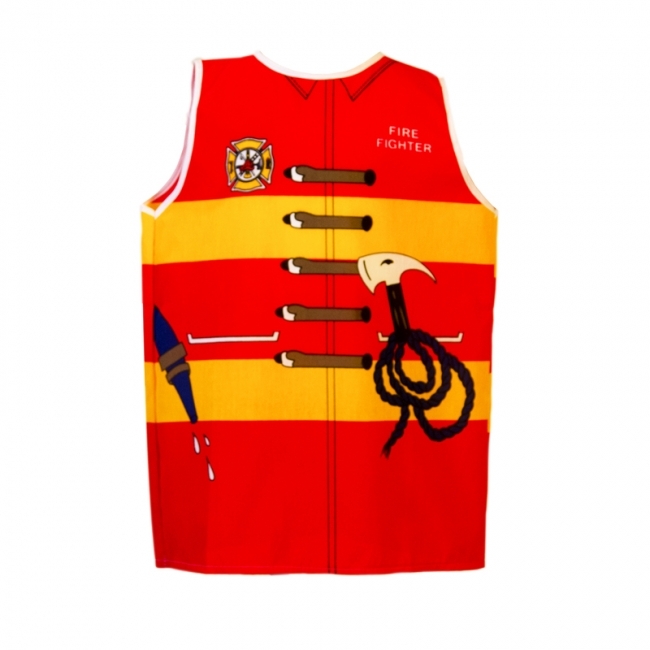 Children love pretend play and this adorable fire fighter is a favorite! The firefighter dress-up costume is brightly screen printed with a red background and yellow stripes. A badge and firefighting tools are part of the design. Red cap included for our junior heroes. 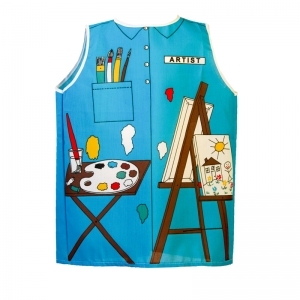 This is a perfect dress-up for a day care, classroom or home toy chest! Inspire our junior scientists! Children learn to see themselves in a career with pretend play. 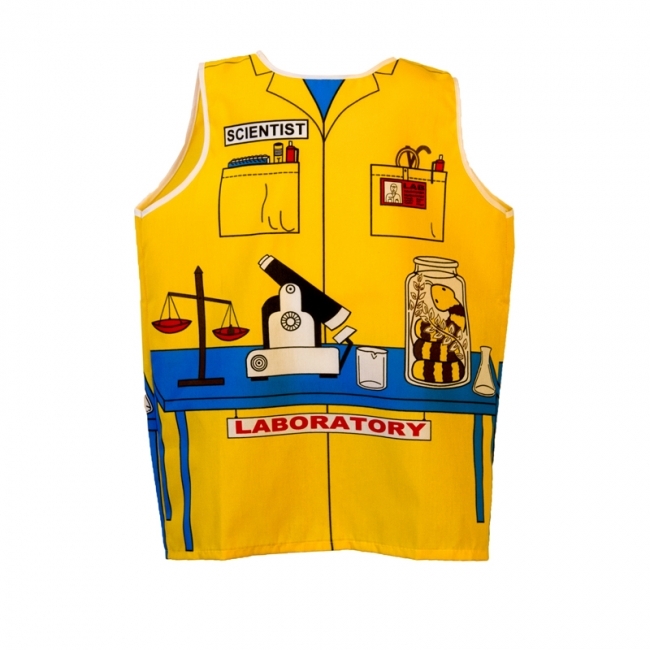 It is screen printed with a bright yellow background and a design featuring a microscope, balance and snake "specimen". Lightbulb "idea" headband included. Let the experiments begin! Perfect for a day care, classroom or home toy chest. Designed to slip over the child's clothing and is easy-on with a simple Velcro close. The dress-up is a cotton blend with quality screen printing, machine washable and built to withstand years of play. Fits most children 5-7. All Dexter™ products are Made in the USA. Perfect for a day care, classroom or home toy chest. One of our community helpers! 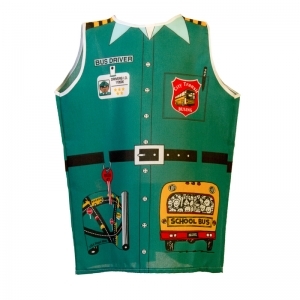 Our bus driver dress-up costume is screen printed with a green background with a design including a driver ID, school bus and street design. Driver cap included.